Superior Food Safety, in partnership with Napa Valley College, is continuing to offer the same high-quality training classes. This partnership is also allowing us to offer these classes with fees starting as low as $150.00 per class. Contact us by email at info@superiorfoodsafety.com to pre-register and reserve your seat. Is Food Safety Part of Your Crisis Management Plan? Don’t let a crisis result in lost revenue, lawsuits and negative publicity. Unless you’ve been living under a rock, it’s been hard to miss the food safety-related headlines of the past month: E. coli in romaine lettuce, Salmonella-tainted eggs, norovirus-infected oysters sickening hundreds, and hepatitis A crises across several states, to name just a few. 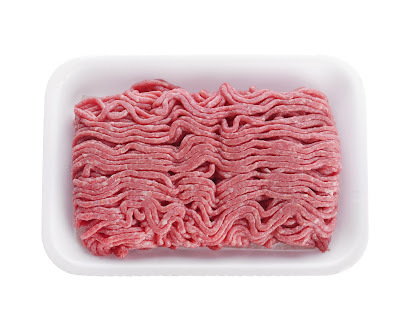 Since 1993 when an E. coli outbreak linked to ground beef at a fast food chain resulted in the deaths of several children, food safety has been on the radar of most major foodservice groups. Yet, surprisingly, food safety often doesn’t have its own crisis management plan within organizations. A food safety crisis can have tremendous impacts on an organization, leading to lost sales, negative media and social media publicity, unsavory online reviews, temporary restaurant closure, lost wages for your staff, increased scrutiny on other locations, lawsuits and more. In a 2016 survey of more than 500 consumers, it was revealed that food safety incidents stick with consumers—and that can impact your reputation and your bottom line for much longer than you may realize. Of the respondents, 62.5% said they were aware of a food safety incident at a restaurant in the last six months. A foodborne illness outbreak isolated to a single location of a chain restaurant would prevent many of the survey respondents from dining at other locations in the chain; 34.1% of respondents said that if they knew about an outbreak at a single location, they’d avoid eating at other restaurants in the chain for more than six months. Worse, 17% said they’d never eat at the chain again. If a foodborne illness outbreak is linked to multiple locations of a restaurant, consumers get even tougher. A whopping 37.5% would avoid eating at the entire chain for more than six months. There’s more disturbing news: 31.7% of the respondents said they’d never eat at that chain again. Each of these incidents is related to food safety. Would your employees, from the top down, know what actions to take in each specific situation? Most senior or executive-level C-suite personnel might know what to do, but that type of training often never makes it down to the operator level. When an incident does happen, it leaves location level management and employees scrambling to figure out what to do; often, the steps they take are incorrect, and can even exacerbate the situation. Identifying the most likely crisis situations and developing a plan of action for each of them. Crisis management isn’t something to go alone if you don’t have internal expertise on your team. Crisis management goes beyond public relations—it should include training and step-by-step processes for each specific type of crisis. So what should you look for in a food safety crisis management partner? Crisis management should be part of every organization’s plan already, but if it’s not, there are some key reasons to act now. A number of current events are having a substantial impact on the foodservice community, increasing the need for food safety crisis management plans. Hepatitis A outbreaks. States including California, Michigan, Kentucky and Indiana have had a significant increase in the number of hepatitis A cases reported. While this problem doesn’t start in the foodservice community, it does impact it—because as communities see higher cases, the chances of a food handler coming into contact with an ill person and contracting hepatitis A increase. Hepatitis A can be easily spread through food, so it’s critical that foodservice operations have a crisis management plan to deal with exposure incidents. Norovirus. Norovirus-related outbreaks and foodservice operation closures—and the media exposure that goes along with them—have been on the rise for the last several years. Norovirus can create problems for operations in a number of ways, from employees working while sick, to customers getting sick in the establishment, to foods being contaminated with norovirus. Knowing how to respond to norovirus incidents is critically important, as norovirus outbreaks can lead to location closures, costly disinfection costs, unwanted publicity, lawsuits, and more. Increasing turnover. With unemployment rates at record lows, foodservice operations are facing an employment crisis, unable to hire enough workers. This can increase the opportunity for food safety incidents as routine tasks and processes may be “short cut” during an employment shortage. Delivery. The skyrocketing demand for delivery has led chains to quickly put together delivery plans. Crisis management should be addressed as part of any delivery plan, as there are any number of variables which could lead to potential incidents in delivery. Don’t wait until a food safety incident occurs to figure out your crisis management plan. Start work today to ensure that when a food safety crisis occurs, your team and your brand can weather the storm. Whether you’re a start up or an established company, there are many resources available based on the needs of your organization. It’s 7 am and the canning plant is changing shifts. As the new quality assurance manager, you are looking at your to-do list and realize that the same topic has been at the top of the list all week: Food Safety Plan—a daunting topic but critical for the future success of the business and for the acknowledged safety of your company’s products being served in consumers homes. For many companies, there are already procedures and common sense practices in place for sanitation, equipment cleaning and employee hygiene, to name a few. But that is not enough. 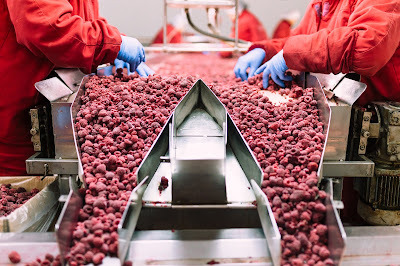 As the quality assurance manager, you are looking to take food safety to the highest level, which includes selecting a food safety standard or scheme that will be audited by a certification body in order to claim that all-important food safety certification. Select a certification standard to follow: Companies are best served when they align their food safety program with a recognized standard. Each standard offers a structure to follow, documentation to track, and operational and functional guidelines to address to be “compliant” within the context of the segment of the industry they are tracking. Get organized: Every customer of ours talks about the challenge to get procedures, documentation and their HACCP plan organized. Checklists, provided on the website from standard holders, like BRC Global and SQF, offer details of processes and procedures to review in your own shop. Our technical staff recommends reviewing the published standard, line for line, to make sure your company has all of its bases covered prior to an audit. Many companies compile a digital record, or even a binder with paper printouts of validation and verification records, for documentation of critical control points. Both are acceptable to prove verification to a food safety auditor. 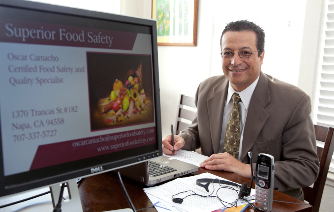 Get industry and FDA/USDA advice: John Z, a food safety project manager at a food packaging company in Gurnee, IL started his company on the path to their food safety certificate with information from the FDA website and online conversations with industry colleagues. A large customer was mandating that John’s company acquire a food safety certification in order to continue to do business. That same customer was helpful in highlighting specific areas in a food safety plan that were critical to winning the business. John also reached out, via LinkedIn, to his industry community for advice and was both delighted and surprised at the wealth of information he was able to glean from asking general questions using the online format. a. A good consultant can offer the “right-size compliance” for the food safety standard selected and the needs of the organization. b. The company’s people-resources can be reviewed for additional training, to assure that the organization has the talent in place to handle the verification and validation needed for a successful and comprehensive food safety management system. Consultants work on a contract basis that can be scaled to the needs of the organization. References are often offered or requested to get an independent voice on the credentials of the consultant. Industry Associations: Most industries have an industry association affiliated with their product or process. Typically a membership-based approach offers many benefits to the members for event participation, resources and shared information. Non-members often can sign up for newsletters or association announcements. State Extension Services: State governments have detailed information and free resources on their public health websites, pertaining to local food safety processing and handling regulations. 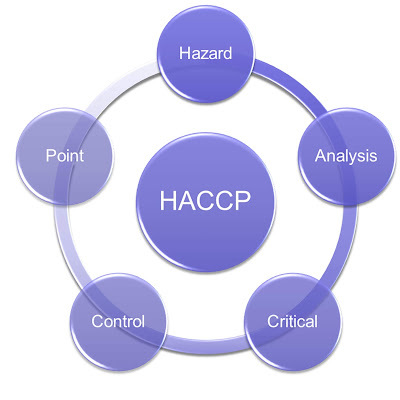 As part of a company’s HACCP plan to comply with local regulations, these resources are specific to your site and must be followed according to local codes and business licenses. A comprehensive and effective food safety program is not an option, it is a necessity. The liability your organization assumes for consumer complaints or health safety recalls would be financially devastating to most companies. Your time and effort in designing, implementing and maintaining such a program assures your organization that customers, consumers and your bottom line are protected. Effective foods safety assessments address learning behavior and the mastery of skills. Success Factor 3: Create exams that properly assess the workforce. Food safety exams give employers the peace of mind that the employees they hire can do the job they were trained to do and help prevent food safety incidents from happening. Equipped with the right training and assessment developed by responsible and qualified companies, employees in the field―ranging from food handlers to food managers―are the first line of defense to uphold the highest of food safety and security standards. My previous two columns in Food Safety Tech explained important factors that employers need to consider when developing a food safety assessment program. Working with a quality-driven food safety assessment provider to develop the exam is a critical first step. 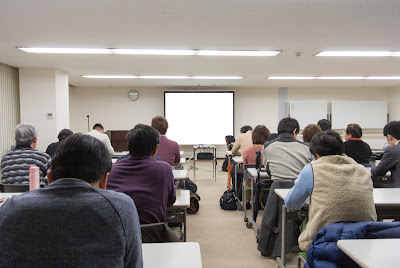 Equally important is the practice of using exams with rigorous, reliable and relatable questions that are developed, tested and continuously evaluated to correlate with market needs and trends. This article focuses on another key factor that should not be overlooked. In order to properly assess the workforce, exams must reflect best practices for test taking and learning, and be in sync with how the workforce operates and processes information. It is not enough for food safety assessment providers to merely develop questions and exams. A comprehensive exam creation process that takes into consideration technical and human factors allows for a fair assessment of workers’ knowledge and skills, while also providing feedback on exam performance that can be used to adapt exams in an ever-changing industry. What should employers look for to help ensure that exams can properly assess the food safety workforce? First, food safety exams should test what a food safety worker needs to know, and quality-driven assessment providers should solicit input from the industry during the exam creation process. Test developers should use surveys, conduct interviews and facilitate panel-based meetings to gather information. They also should invest in close collaboration with industry-leading subject matter experts (SMEs), as well as food handlers, managers and regulators in order to create questions and exams that are relevant. By engaging SMEs during the question writing and exam creation process, qualified food safety assessment providers can pinpoint the important information to be developed into questions and implemented in the exams. In addition to incorporating industry stakeholder input, it is important for assessment providers to have a comprehensive understanding of the various assessment modalities —from selected response item types, such as multiple choice assessments, to performance-based, interactive scenarios that mirror real-life situations—and select the appropriate modality to maintain test fidelity. High candidate engagement levels—with real-life scenarios being more relatable. A safe environment for candidates to practice and understand the consequences of their actions. Another critical component in creating effective exams is for the assessment provider to continuously review the content and incorporate quantitative and qualitative feedback from data and test takers respectively. By reviewing feedback regularly, asssessment providers can enhance the exams and adjust accordingly—keeping the exam relevant to the workforce and the industry. As the workforce and the industry change, so should food safety exam and certification programs. A feedback loop is essential to help ensure that the exam stays relevant to those who work in the food service industry as they seek to prove that they have mastered the necessary principles and skills to protect the public against food incidents. If a food safety exam does not properly assess the workforce, the consequences can be significant, not only to public health and safety, but also to the companies preparing, handling and serving food that could experience loss of reputation, revenue and the business. Incorporate interactive scenarios that mirror real-life situations. Create a feedback loop and adaptable exams that can easily be modified to stay abreast with the ever-changing industry. While food handlers may be one of the biggest vulnerabilities in a safe food supply and delivery chain, they also represent one of the greatest opportunities to guard against food safety issues. Developing an effective food safety assessment program as part of a preventative strategy will help ensure both public health and corporate long-term business success. Foodborne illness will never be eradicated, but following these principles will help. As winter ends and summer approaches, most of us will emerge from our houses and start enjoying the nice weather. Even better, hopefully we all will be hosting or attending numerous BBQ’s and get-togethers. 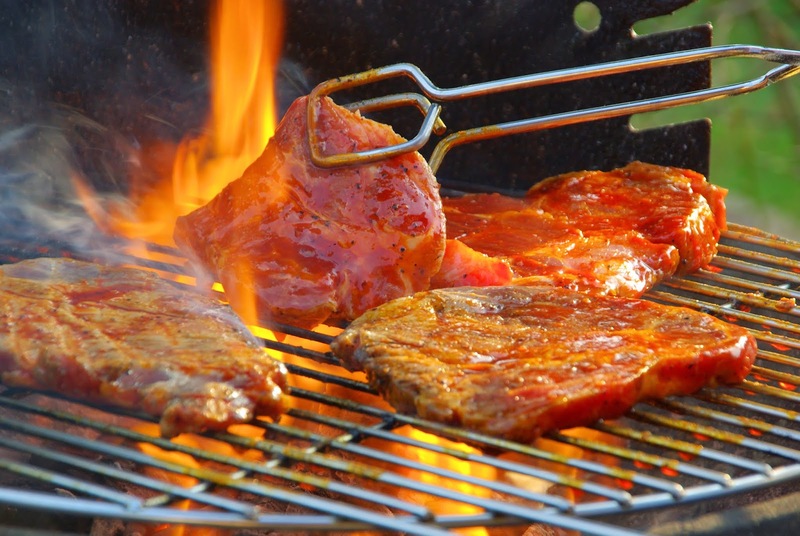 Burgers, chicken, salads and the like will be readily available; however, how can we be sure we’re keeping our food and guests safe from a foodborne illness? The more hands and foods involved, the higher the risk of contracting a foodborne illness. Fortunately, today, we know much more about proper hygiene, food handling and preparation to combat these harrowing outbreaks. According to the CDC, one in six Americans become ill due to foodborne illness each year. As the fight to combat this issue wages on, there are specific measures we can take to protect ourselves daily. While foodborne illnesses will likely never be eradicated, utilizing the ‘Core 4’ principles of food safety remain a viable approach to limiting its prevalence. This column outlines these ‘Core 4’ principles. Wash your hands for at least 20 seconds with soap and warm running water before and after handling food or using the bathroom. Wash the surfaces of cutting boards, counters, dishes and utensils after each use with warm, soapy water. Use paper towels to clean counters or spills as they soak in potential contaminants, rather than spread them like cloth towels. Rinse or blanch the surfaces of fresh fruits and vegetables to rid of any dirt or bacteria. Avoid placing ready-to-eat food on a surface that previously held raw meat, seafood, poultry, or eggs. An example would be: Placing your now-grilled chicken on the same plate in which you carried it to the grill. Use separate cutting boards when preparing fresh produce and uncooked meats. This eliminates the spread of any bacteria either may be carrying to the other. Request or separate raw meat, seafood, poultry and eggs in your grocery bags. This eliminates the spread of bacteria in the event there is an unsealed package. Always properly wash the surfaces exposed to these raw items under warm, soapy running water. Eggs: Until the yolk and white are firm; for egg dishes warm until 160°F. For starters: Always keep your refrigerator at 40°F or below. Do not over-pack your refrigerator. Proper airflow circulation is paramount. Refrigerate any meats, egg, or perishables immediately upon return from the store. Do not allow raw meats, egg, or fresh produce to sit out for more than two hours without refrigeration. By taking these principles into consideration, you can ensure the protection of your friends, family and self, leading to better times and memories gained. The old adage coined by Benjamin Franklin nearly three centuries ago rings truer today than ever before: “Time is money.” For food plant managers, there are few greater job challenges than ensuring the kind of operational efficiency that fuels productivity and engenders real profitability for the company. Every element of the manufacturing process—from supplier intake and product storage to processing, packaging, labeling and transporting—must run at peak performance in order to meet productivity expectations. Factor in the responsibilities of equipment maintenance, personnel management, resource allocation and food safety compliance, and you’re facing a torrent of barriers to increased plant productivity. Even so, there are some practical changes you can make in order to meet your goals, and they’re not the kind that take months of planning and preparation (translation: more time out of your already busy schedule). The following are six expert recommendations you can roll out this week to increase plant productivity and rectify the inefficiencies that may be hindering your success. Here’s another valuable proverb to live by: “A stitch in time saves nine.” By proactively addressing quality control risks within the facility, you’re able to thwart more monumental issues down the line, like production halts, recalls and non-compliances. Outcomes like these epitomize inefficiency and often result in severe profitability consequences. Revise your HARPC to reflect any changes to date, like new employees or equipment sanitation hazards that have emerged; new ingredients that may pose allergen risks; the team’s pinpointing of ineffective control measures; production flow processes that deviate from the documented ones; and evolved compliance mandates or industry standards. Optimize your documentation process by trading in outdated, manual processes for a more streamlined and reliable digital alternative—one that features automated reporting for extracting hidden insights and trends that can be leveraged to improve your prevention plan. Designate a team or individual to revamp the training program, ensuring comprehensive education for employees spanning every department and level of the company. Direct them to develop initiatives that foster a culture of food quality and safety, with ongoing efforts to promote awareness and guidance. It’s not easy to abandon the tried-and-true processes of yesterday and accept a new reality. This is why some plants struggle to meet the demands of today’s highly connected and technologically advanced society. In truth, technology has changed the industry, and the ability to increase productivity in your facility hinges on your willingness to learn the new rules and equip your team with the right tools. Big data, agricultural tech, management software, augmented reality, digital reporting… the list goes on. These are the types of technology trends that are emerging in the food manufacturing industry and forging a path to immeasurable gains in quality and efficiency. Of course, you won’t be able to transform your entire operation in a week, but one thing you can do right away is open your mind to the potential that can be found in embracing technology. Come to an acceptance of the critical role that digitization and automation plays so that you can identify valuable opportunities to take advantage of them. Are they food quality and safety deterrents, such as undeclared allergens, detected pathogens, residue contamination, lack of proper sanitation policies and enforcement, mismanaged temperature and moisture controls, etc.? Are they related to equipment failures? Is there machinery that requires updates or replacement? Are they employee elements, like insufficient staffing, human error, misappropriation of resources, subpar performance or lack of training? The only way to answer these questions is to look at your floor plan holistically, and utilize historical data to identify potential causes of productivity lapses. Let’s face it, no plant’s processes are perfect, and no organization runs a flawless operation. Non-conformances and inefficiencies will always occur. It’s the ability to focus on these problems and use the data to improve your process that makes the difference between a strong, productive operation and a weak, futile one. Data collection and analysis that highlight hot spots on your floor plan enable you to communicate effectively with your team and execute process iterations that advance quality, productivity and profitability. If your team is manually writing out labels for samples that are collected for testing, there are a number of efficiency challenges getting in the way of overall plant productivity. First and foremost, filling out testing labels by hand requires much more time from technicians and plant workers than is actually necessary. Over a duration, these minutes become hours, which turn into days, slowly eroding the profitability of your operations. What could you save in productivity losses if your workers no longer had to write out labels? There’s also the issue of often-illegible handwriting and the heightened risk of human error. When the lab receives samples that are difficult to read, incomplete, inaccurately marked or smudged during transit, there are extra steps needed to inquire about and resolve the discrepancies. Otherwise, the lab is left to guess at what they’re seeing, and we can all agree there’s a hefty price to be paid for inaccuracies in this area. This is a prime example of how food safety software can increase plant productivity. With the ability to utilize auto-labeling for testing samples, all of these productivity impediments disappear. You could begin saving precious time and closing the gap on errors immediately, just by using a smart software solution that enables you to print testing labels. As non-conformances arise in the production process, corrective action must follow. But even with the best intentions, corrective action goals can fall behind schedule or consume so much time and energy that they curtail operational productivity. Without an automated, streamlined approach, there’s likely to be confusion over who is expected to manage a particular action and what they need to do, which precipitates avoidable mistakes and a whole lot of wasted time. With a food safety management system that allows you to automatically assign next steps to the appropriate individual for resolving a positive test result, there’s much to be gained in terms of efficiency. The right people are instantly notified of their corrective action assignments, with direction on how to proceed. This kind of powerful communication reaps big productivity returns. It also maintains a focus on proactive quality control, the benefits of which we’ve already explored. Sometimes it feels like there’s no end to the cycle of preparation required for managing the plant’s continual food safety audits. On the one hand, you’ve got government regulators, like the FDA, USDA and CFIA, heightening compliance enforcement and performing regular inspections. On the other, you’re subject to client-administered audits intended to verify supplier food quality and safety. Then in between the two, you’re tasked with conducting a number of internal audits. Amid all of this complex data acquisition and reporting, your operations are suffering from the effects of lost time and resources. 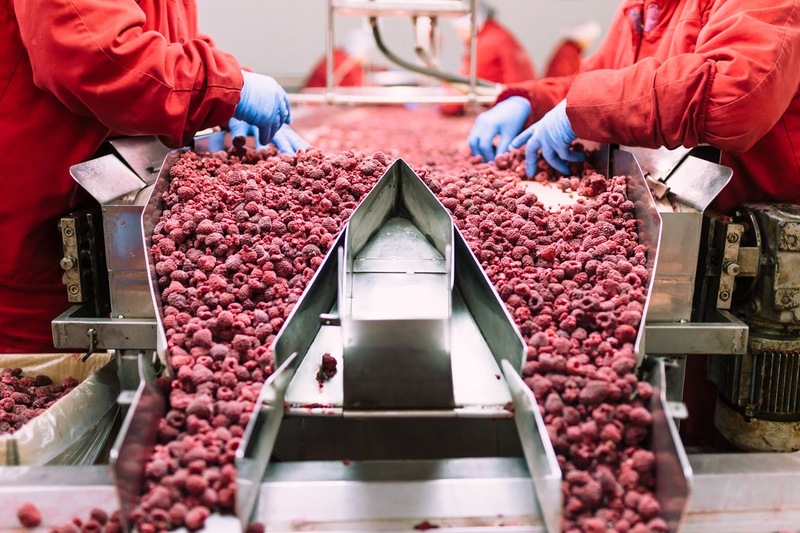 As each food safety audit approaches, it can be a significant struggle to get everything in order—one that ultimately takes your productivity objectives off course. The key to avoiding this scenario is implementing an organized process, and one of the most effective tools you can use is a standard food safety audit template. There’s no reason to allow productivity to falter while handling everyday plant responsibilities. By executing some of these steps within the next few days, you can kick start better efficiency patterns and get your operations moving toward increased productivity. This is the direction in which you should be headed in order to develop greater control throughout the plant and turn time into money.